While maintaining high energy efficiency, the Air-Cooled Reciprocating Chillers are suitable to work in extreme tropical weather conditions. 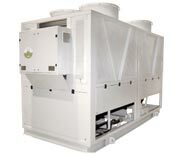 These are designed, manufactured and tested in accordance with international standards. These equipment are easy to install and operation friendly, backed by the competent engineering team to realize the advantage while being in operation. Designed to work in extreme tropical conditions, the Water-cooled Reciprocating Chillers are energy efficient and environmentally friendly. 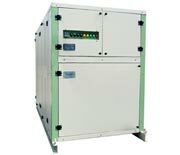 These chillers are designed and manufactured within the best available facilities and are tested as per the most stringent international parameters. The equipment is easy to install and operation friendly. The Industrial Reciprocating Chillers find applications in the industrial conditions where one application is completely different from the other application. 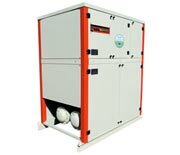 The chillers are manufactured using specific materials that are carefully chosen as per the process fluids used in specific process requirements.